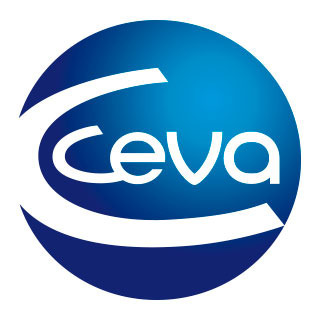 Auphyl® Plus is a live vaccine that contains the MNC+/10a strain to protect against Aujeszky’s disease (or pseudo rabies), following a long tradition of discovery and innovation in Aujeszky’s disease protection from Ceva Phylaxia. The selected vaccine strain allows distinguishing vaccinated animals from infected animal with respecting the protective ability of the virus, controlling at the same time its virulence for a full safety. The protection conferred by the strain is amplified in intensity and time length by a specific oil-in-water adjuvant. This ultimate efficiency provides a full protection against the disease; it allows furthermore to design, for each farm, a protocol combining vaccination, infection detection and animal renewal that leads to a full eradication of Aujeszky’s disease in a farm. Freeze-dried attenuated live Aujeszky’s Disease virus, MNC+/10a strain, holding a negative immunological marker gE—, obtained by traditional laboratory techniques. One dose (2 ml) contains minimum 106.0 TCID50. Freeze-dried cake with accompanying diluent. The strain MNC+/10a has been selected for its remarkable safety and outstanding anti-disease and anti-infection efficacy. Adding a specific adjuvant as diluents increases the immunizing properties of the vaccine. This has the specific effect of reducing excretion of the field virus following a natural infection, which is of great importance within the framework of an eradication program. 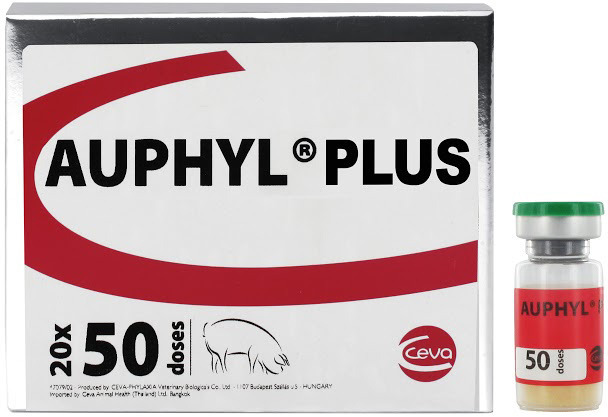 Animals vaccinated with AUPHYL® PLUS do not develop antibodies against gE glycoprotein, whereas all pigs infected with virulent field strains possess these antibodies. Using an ELISA test, vaccinated animals can thus be serologically distinguished form pigs infected with field virulent virus. Prevention of all clinical manifestations of Aujeszky’s Disease including the respiratory form. Eradication program of Aujeszky’s Disease in pigs. Use the entire contents without delay after reconstitution. Burn or sterilise the container and unused contents. This vaccine should be injected under sterile conditions to healthy animals only. Successful vaccination is also dependent on correct storage and administration. Protect animals from stress in the days before and after vaccination.